What Are Your Thoughts About “fear-based” Dog Training? Home / Your Pet Questions / Pet Questions / What Are Your Thoughts About “fear-based” Dog Training? My ex and I have joint custody of a dog. We started using Barkbusters (www.barkbusters.com). Our dog experienced more anxiety (one of our biggest issues was separation anxiety). I had never heard the term “fear-based training”. Now I am even more confused, as is our dog. “Fear-based dog training” went out with the stone age. No reputable trainer would use this method today! Find a new trainer ASAP and hope they can undo the damage that has been done. Look for a trainer that uses positive reinforcement (reward-based training methods -treats,toys,clickers,etc). Your dog will respond out of a desire to please you… that is their greatest motivator. Having said that, some aversion training can be effective if positive reinforcement does not work (this explains the unseen fence, citonella collars, spritzing the barking dog with water, etc.) But FEAR is something you NEVER want your dog to feel…ever!! Find a new trainer today!!!!! Fear based Training? Da . . . FEAR! how would you like someone to instill fear in you when you have a emotional problem already. You must seek help with someone who does not use fear or any sort of harm. But understanding and compassion. i agree with the others. Fear-based training is a terrible method. Instilling fear in your dog makes it more likey to 1. bite you 2. have anxiety towards visitors 3. be attacked by another do who could hurt/kill it. yes, pressure the dog until it bites you. how dumb. Well, 90% of dog bites are a response to fear, not aggression. 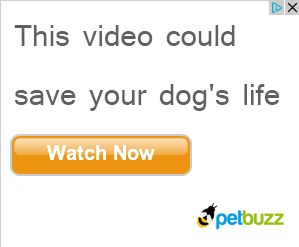 So do you really want to instill fear in a dog? Probably not. Find a new trainer ASAP. Fear has no place in dog training.. Fear based training is very very bad.